Chelan Fire and Rescue (CFR) headquartered in Chelan, Washington, is currently accepting applications to fill a position of Administrative Assistant. This is an outstanding opportunity to work closely with the front office to provide support for a variety of clerical functions across the District. The ideal candidate will demonstrate the highest standards of personal and professional conduct and be comfortable serving in a confidential position. Candidates can expect to work in an environment that is dynamic and service oriented. It is essential for the candidate to be highly skilled in administering and performing a variety of clerical and computer tasks. Excellent verbal and written skills, a high level of attention to detail, and the ability to properly administer District policies and be highly customer service orientated. At time of hire, must possess and maintain a valid Washington State driver’s license AND have passed a complete background investigation, driving record check, employment history verification, and reference confirmation. The annual salary range is between $37,368 and $41,520 DOE. In addition, there is an extensive benefit package that includes medical, dental, vision benefits as well as participation in the PERS Retirement Plan. The following application packet is DUE no later than 5:00 PM on Friday, February 1, 2019. · Personal and Professional References. What is your experience working in a clerical position? What is your experience working with a Fire/EMS organization and/or the public sector? What are your current roles in the local community? Located in Chelan, Washington, Chelan Fire and Rescue’s jurisdiction is located in Northeast Chelan County, covering 125 square miles around Lake Chelan and surrounding areas. 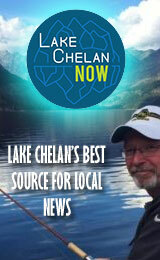 With population of 3,500 in City Limits and 2,961 outside city of Chelan. A budget of $3.2 million currently allows 7 career, 65 volunteers and 6 administrative/support members to offer a full range of emergency services. These services include fire suppression, public education, technical rescue, hazardous materials, wildland–interface suppression, and full emergency medical services for basic life support responses. CFR provides emergency response services from 5 fire stations, one station staffed with 2 career 24/7. An administrative facility is located at our headquarters station 71 and serves as the district’s administrative office. On average, there are over 950 annual calls for service. · Must hold or be able to obtain a valid Washington driver's license. · Must pass a thorough background investigation. · Must be bondable and insurable. · Desirable AA degree or two (2) years of experience in a clerical setting. A BA is preferred. · High level of experience and enthusiasm to support the clerical functions of CFR District. · High level of professionalism, work ethic and trustworthiness to be assigned confidential work. · Ability to build and maintain effective working and interpersonal relationships with the community, District personnel, other public safety and political entities, and superiors. · Ability to support vision, goals, and objectives in accordance with department policy. · Demonstrated skills in clerical roles including being proficient in Microsoft Word, Excel, Outlook and Publisher. · Ability to function independently when assigned work by supervisor or chief officers. · Ability to trouble-shoot, problem-solve and identify issues as they arise. · The physical demands and work environment described here are representative of those that must be met by an employee to successfully perform the essential functions of this job. Reasonable accommodations may be made to enable individuals with disabilities to perform the essential functions. · There is a current job description in effect for this position. · Work days and hours; Monday through Friday 8:00 a.m. to 5:00 p.m. 40 hour work week with exception to overtime as approved. · Work is generally performed in an office environment, but may also require driving to other District facilities. Attending to issues that arise will occasionally require a flexible and varied schedule. sit or stand for extended periods of time is required. · Work involves walking, talking, hearing, using hands to handle, feel, or operate objects, and reach with hands and arms. Vision abilities required by this job include close vision, distance vision, peripheral vision, depth perception, and the ability to adjust focus. · The noise level in the work environment is usually moderately quiet while in the office, but may vary greatly at other District facilities.